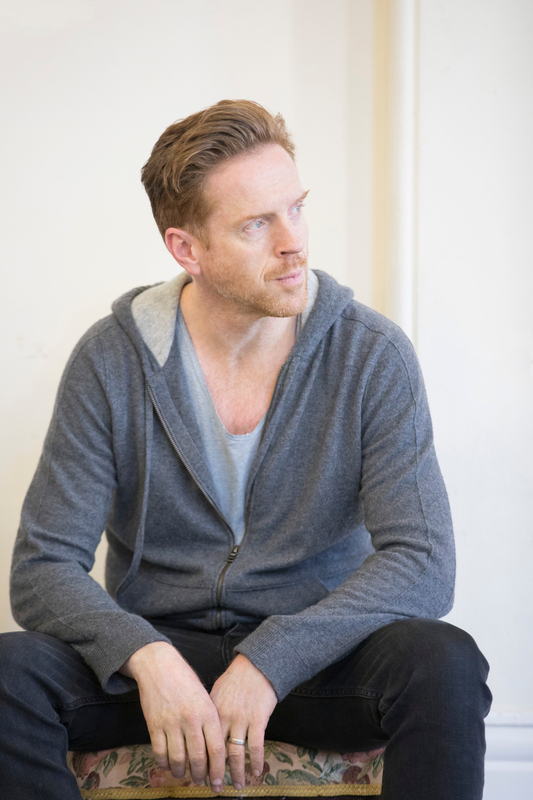 We are extremely thrilled Damian Lewis is making a wonderful comeback to stage in the West End revival of Edward Albee’s late masterpiece The Goat, or Who is Sylvia? Damian is headlining the play as Martin Gray along with Sophie Okonedo playing Martin’s wife Stevie, Archie Madekwe as his son Billy and Jason Hughes as his oldest friend Ross. Tom Kirdahy Productions is producing and Ian Rickson, who served as the artistic director of the Royal Court Theatre from 1998 to 2006, is directing the play. And as if we needed another reason to get excited about it, The Guardian critic Michael Billington cites The Goat in his Unmissable Theatre of 2017 list! Damian has also recently been on The Chris Evans Breakfast Show on BBC2 Radio to talk about his return to stage. You can hear the program here and Damian’s bit starts at around 1:40:00. The Goat is arguably the most provocative and controversial play by Albee who unfortunately passed away last September at the age of 88. The play won all the major theater awards; namely Tony, New York Drama Critics Circle, Drama Desk, and Outer Critics Circle, for Best New Play of the Year when it was first staged on Broadway in 2002. As we hope it will repeat that with Damian Lewis and Sophie Okonedo at the helm, it’s time for a first look, without any major spoiler, at The Goat! Well, it’s time to meet The Grays! Martin Gray is a prominent architect who has just turned 50 and become the youngest person to receive the Pritzker Prize, often referred to as the “Nobel prize in architecture” and is starting a two hundred billion dollar project designing a city of the future set to rise in the Midwest. Martin is married to Stevie, in Martin’s own words, a “smart, resourceful, and intrepid” woman, to whom he has been faithful in the 22 years they have been together. They love their son, Billy, who is 17 and has recently come out as gay. It seems everything is going right for The Grays. The couple is waiting for Ross, Martin’s oldest and best friend, who will come to interview Martin about Pritzker Prize for his TV program. While Stevie makes casual conversation, Martin seems to be having a bad memory day. He forgets what day it is, has difficulty remembering Ross’ son’s name and cannot recognize the two business cards he finds in his coat pocket. When his wife jokes maybe he is having an affair with the woman whose business card he has, Martin admits he is having an affair and they have a good laugh about it. Ross arrives and Stevie leaves to have her hair done. Now that Martin has shared his secret with Ross, there is no going back for him. Martin loses control over his life and needs to face whatever is to come his way. How will the Grays, who have just fallen from the top of the world to the bottom of the deepest hole, solve a problem like Sylvia? The Goat draws a lot of laughter from the reader with its fantastic use of humor, yet it is ultimately a tragedy. A story of a man being reduced from this genius architect, great husband and father to, in his son’s words “a pervert” cannot be a comedy. And, I don’t think neither Albee putting “notes toward a definition of a tragedy” in parentheses below the title of the play nor the Greek word for tragedy tragoidia (tragos “goat” – oida “song”) literally meaning “goat song” is a coincidence. Albee’s brilliance in switching the mood every couple of minutes makes you laugh hard, and then think hard, laugh hard again, and face terrible sadness, and ultimately takes you out of your comfort zone and lets you ponder what YOU would do should you have been, god forbid, in these people’s shoes. “Imagine what you can’t imagine. Imagine that, all of a sudden, you found yourself in love with a Martian, in love with something you can’t conceive of. I want everybody to be able to think about what they can’t imagine and what they have buried deep as being intolerable and insufferable. I want them to just think freshly and newly about it. I wanted to find something so out of that which we consider possible that we even think about it as conceivably happening and make us relate it to ourselves. And so I had to go that far away. I mean, there are so many things one can fall in love with, that are tolerable, I suppose, though outlandish, you know. The old theory, you know, “stick to your own kind.” Well, that’s pretty limiting, these days especially. I wanted something that was so inconceivable to force us to think about that which we have such knee-jerk and instant reaction that this cannot be even considered and thought. And that’s what I wanted. As Albee asks the audience to imagine the unimaginable, I can personally apply this situation into my own life. My husband and I are not as wealthy or successful as Martin Gray but we have been, exactly like Martin and Stevie, together for 22 years, we are doing pretty okay financially and professionally and I believe, exactly like Stevie does, I have the best marriage in the world. What if my husband confessed he was in love with Sylvia? How would I deal with that? Edward Albee is known for writing strong and highly intelligent female characters, say Martha in Who’s Afraid of Virginia Woolf or Agnes in A Delicate Balance, another fantastic Albee play I had the pleasure of seeing with with Glenn Close as Agnes. I know it will be a true delight to see Sophie Okonedo, who has a subtle yet very powerful stage presence, as Stevie in The Goat. The Goat is the story of a man destroying his own life, a life many would kill to have. There is a scene towards the end of the play where you feel Martin as the loneliest man on the planet and I cannot imagine an actor other than Damian pulling that off. And add to this the man’s perfect comedic timing which I witnessed live in American Buffalo, and those lucky ones among us, my friends, can get ready for a real treat. The previews at Theatre Royal Haymarket start on March 24, the press night is on April 5, and it is a strictly limited run that has to close on June 24. Tickets are selling fast that if you plan to go see The Goat, make sure you book your tickets as soon as possible. And for BEST prices, it is always a better idea to book tickets online at the theatre’s website rather than through other agencies. I knew nothing about this play when I booked my tickets, it was literally “I’m going to see Damian!” So thank you for giving me an idea of what I’m actually dragging my bf to see haha. It sounds like a crazy dark but funny play & I think the casting is perfect for that – 2 fab strong leads. Cannot wait for 22nd April! Thank you for reading, Vicky! I can’t tell you how happy I am that you are going to see Damian on stage! Seeing Damian on stage IS an experience on its own.And I think an actor really needs an equally good actor opposite him/her to be able to deliver perfectly on stage and Okonedo is a wonderful choice. I saw her in The Crucible last year on Broadway. We went to see Saoirse Ronan and stayed for Sophie Okonedo. She is amazing. Me being me, I read the play several times and avoided from giving any major spoilers because some people, me for example, love to know the play inside out before seeing it while some do not want to know a thing. The Goat is provocative and explosive. You will LOVE it. Enjoy! This sounds like such an interesting play! Oh how I wish it was going to be here in NY. Seeing Damian Lewis on stage would be amazing! !